Well I would have arrived early at the Central Branch AGM (honest!) but I had a Road Traffic Accident happen right in front of my car and whilst not involved, I had to stop and assist and give a statement, so I was quite late arriving at St. Giles Church in Lincoln. 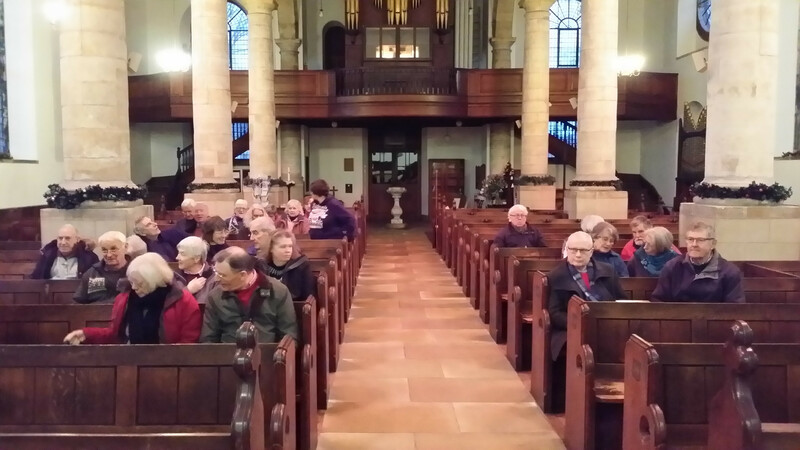 I did manage to arrive in time to get a ring and we did half a course of Yorkshire, some Oxford Treble Bob and some Rounds and Call Changes before going down into the Church for the service. 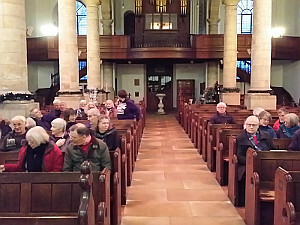 The service was led by the Revd Pamela Beattie. John Nicholson read the lesson from John's Gospel (John 1:43-51) where Nathanael says "Nazareth! Can anything good come from Nazareth?" This is where Philip invites Nathanael to "Come and See" Jesus. Pamela preached her sermon on the theme of being "invited" to follow Jesus and that is what the bells are effectively doing every Sunday. 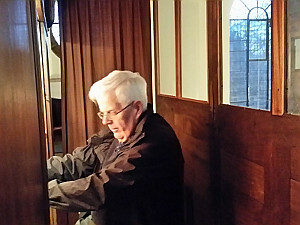 The organ was played by Les Townsend. After the service we went into the Church Hall next door for tea. There was a choice of 4 different types of soup for a starter, followed by a cold buffet of assorted savouries and cakes. 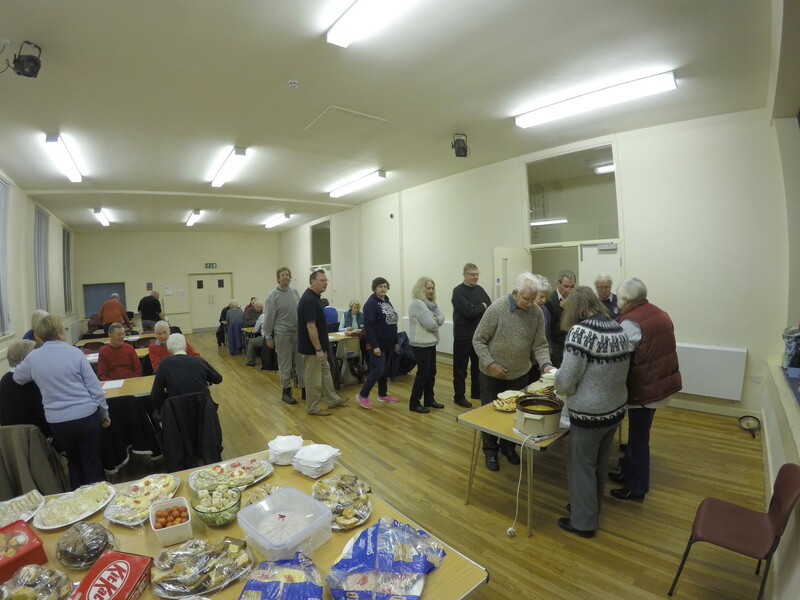 Copious amounts of tea and coffee were distributed to the members at the same time. Once tea was finished, the Branch President Margaret Parker brought the meeting to order. 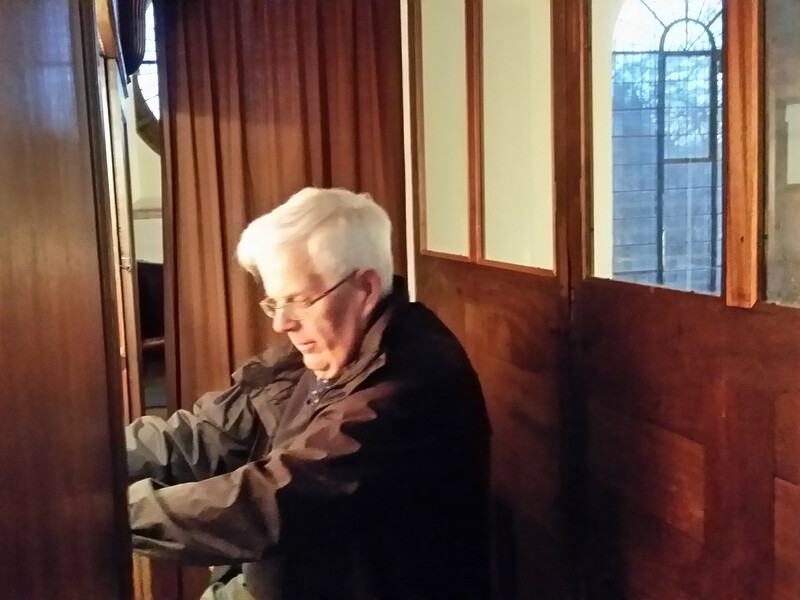 She welcomed the Guild Master, Alan Payne, and thanked Les Townsend for playing the organ and Pam Beattie for taking the service, as well as thanking the "Ladies that do!" for preparing the tea. No members had passed away since the last meeting so no one minute silence was held. The apologies for absence were recorded, and John Underwood informed the members that Jim Sutherland was currently in hospital. Fiona Dawson gave her report. 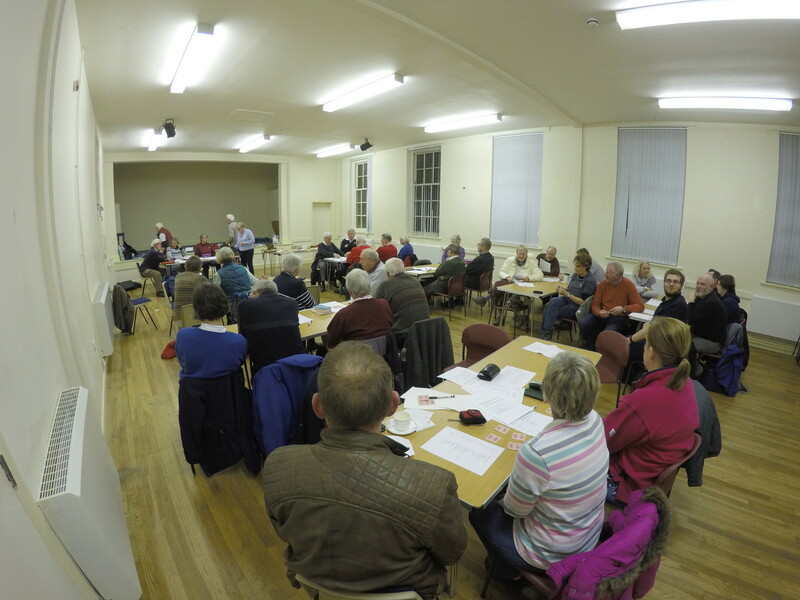 Attendance had been variable at the monthly meetings. 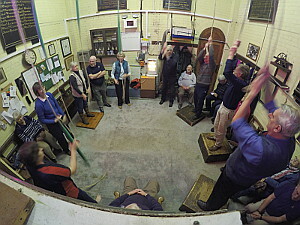 The Rabbits meeting at Hackthorn in April had been a good family event and the dual celebration of St. George's Day and the 10th Anniversary of Hackthorn bells being installed was also very enjoyable and well attended. The Central branch were able to provide 5 of the young ringers for the Ringing World National Youth Contest that took place in July. 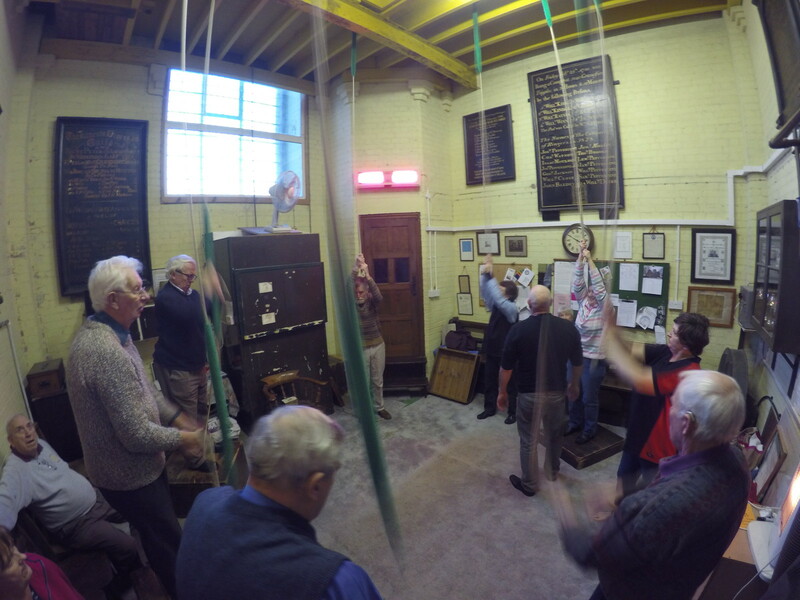 The Young Ringer's day on the 23rd July proved to be very popular with a full program of ringing activities in the afternoon followed by a meal and some "Olympics" in the evening. Fiona is stepping down as Secretary and wished her successor well. Membership is slightly down on last year. Last year we had 121 members and this year the figure was 119. Income from newsletter contributed £190 so keep ringing those Quarter Peals. On the subject of grants, a grant of £500 has been awarded to Brant Broughton, once the work is completed. 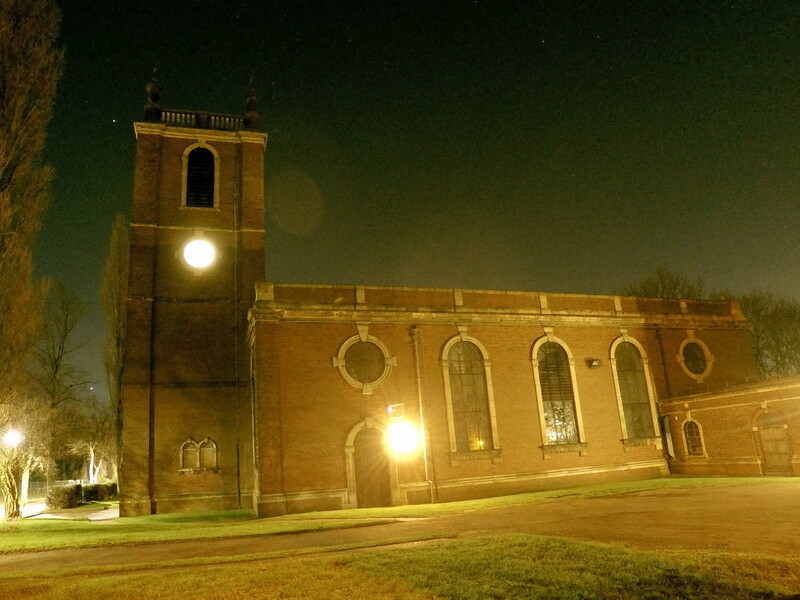 There has been a temporary delay to the re-hanging of the bells due to some work being required on the spire. 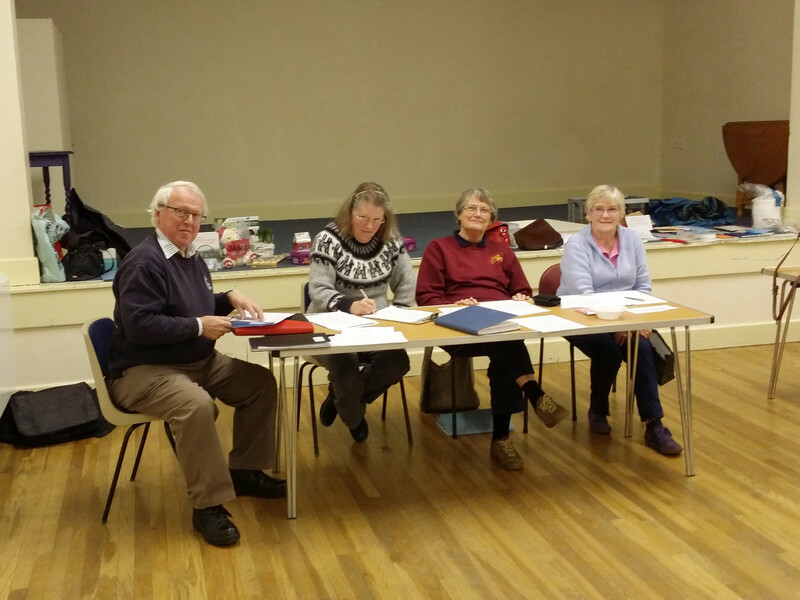 We had a flurry of new members, with 4 being admitted from Nettleham, 3 from Waddington and 2 junior members from Martin & Timberland. Attendance had been mixed this year. The two visits to Hackthorn had been very well attended and Margaret Parker's Bellplate team from the local school did a very good job. The half year meeting and Striking competition at North Scarle was well attended as was the Cathedral Evensong ringing. Richard then put forward the proposed programme for next year. There was a good mix of towers in the programme with some old favourites and some more challenging rings. It was felt that the programme had a good mix. Alan Payne is retiring this year as Guild President. Chris Turner is a likely candidate to replace him. We have had no Guild Secretary for a year now but Lorraine Jeffrey might be taking on this role. There are 2 amendments that will be voted on at the Guild AGM in April and these had been circulated among the members at the meeting. It is likely that safeguarding requirements will be re-visited at the AGM and a "Code of Conduct" for members is being produced. There being no other business, the meeting was closed. Some further ringing took place in the tower with some Grandsire and Oxford TB, until about 8pm at which point we adjourned to the pub.